Activities that encourage open - ended learning. 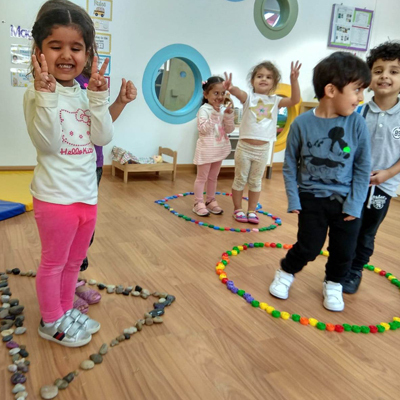 Open ended materials such as rocks, sticks, sand, chalk, fabric and more. The children will love having this time to choose! 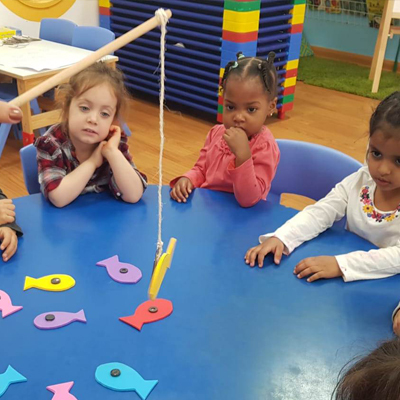 They will be able to pick from a choice of three or four activities that will develop their independence and self – confidence. Working with art material is a wonderful way for children to experiment with colour, shape, design and texture. 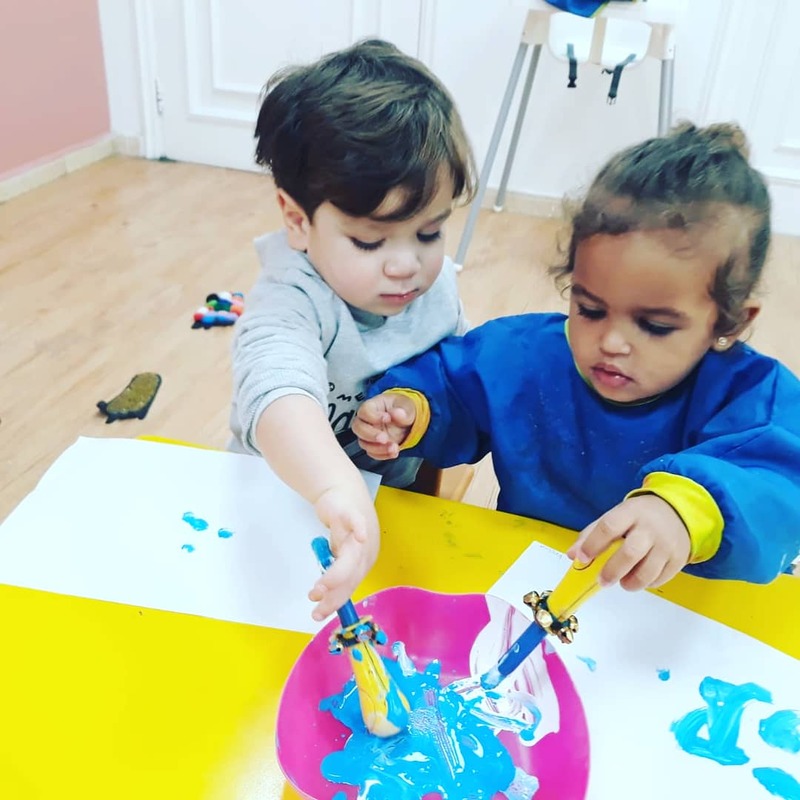 Through all the free painting, free drawing, gluing, sticking and other related activities, it enables the children to learn many skills, express themselves, appreciate beauty and have lots of fun all at the same time. 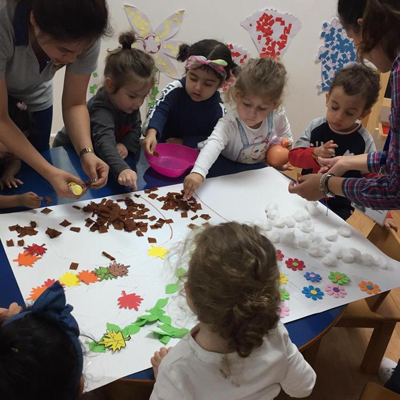 To take advantage of Creative Child Nursery’ extensive collection of library book, children will be introduced to a NEW story every day! 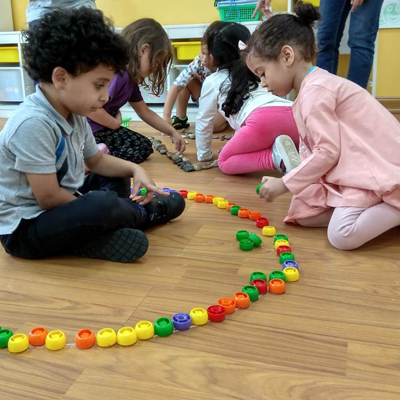 This activity encourages the children to talk to their friends. It will also encourage and develop their social skills and boost their self-esteem. Designed to promote and encourage pretending, we act out our favorite stories with our own endings! Children growl like the big bad grandma or to skip through the forest to the big bad wolf’s house to deliver a pie! Not your usual Little Red Riding Hood! This class is very important to help children who may be shy or to build on a child’s existing talents. Nothing builds a child’s interest like self-confidence. 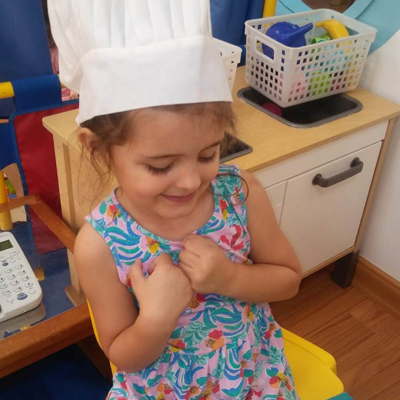 All our little ones will have the opportunity to participate in this simple but fun cooking session. It will enable them to experience the world of food first-hand as they are the ones making their own snacks. It is a wonderful way for them to discover new tastes, textures and smells. 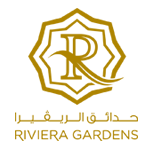 We have a music curriculum dedicated to the teaching of music. 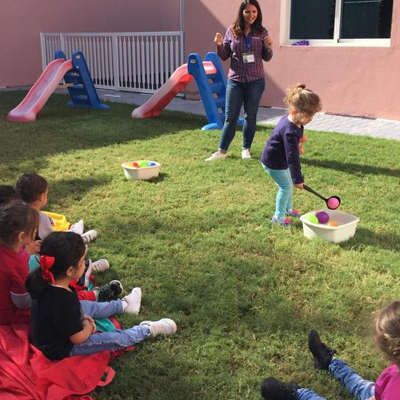 The program introduces the children to a varied range of music and instruments. This is a great way to boost the children’s confidence and speech as they learn the actions and worlds of the songs as a group, (expressionism) and assists in the development of memory skills. 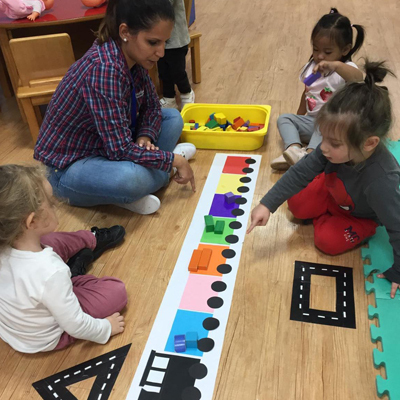 Creative Child Nursery works in partnership with many BIG schools. 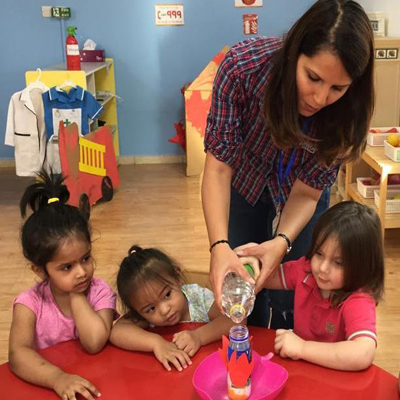 We listen to their recommendations on how to best prepare children for their big next step! Cutting skills, social skills, independence skills or a little more time with phonics or mathematics are the most common BIG school requests. We take the time to help children in this way.